Since I gave my old router table fence away, I needed to make a fence for my new router table — the old fence was too small for the larger table I built anyway. I didn’t follow any specific set of plans when I made the fence, rather I used the same construction methods as my old fence, only I made it longer. 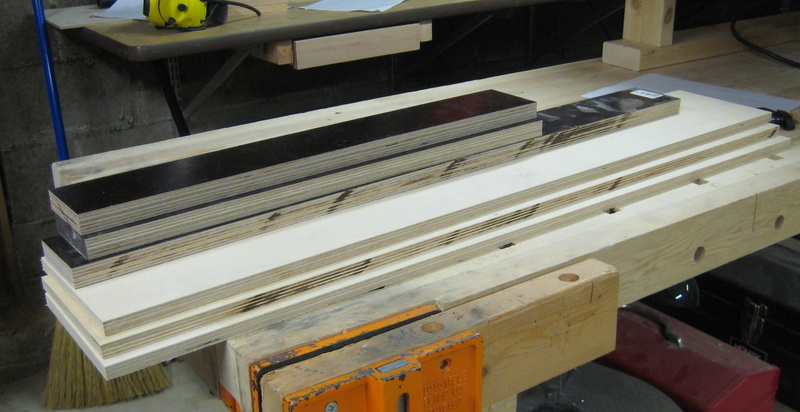 For the frame of the fence, I ripped three 3×36″ strips of 1/2″ Baltic Birch plywood. Then for the face I ripped a 3×32″ strip from a 1″ thick piece of 24×32″phenolic coated plywood for the stationary part of the face. I turned the remaining piece of phenolic coated plywood 90° and ripped two more 3×21″ strips for the sliding portion of the face. 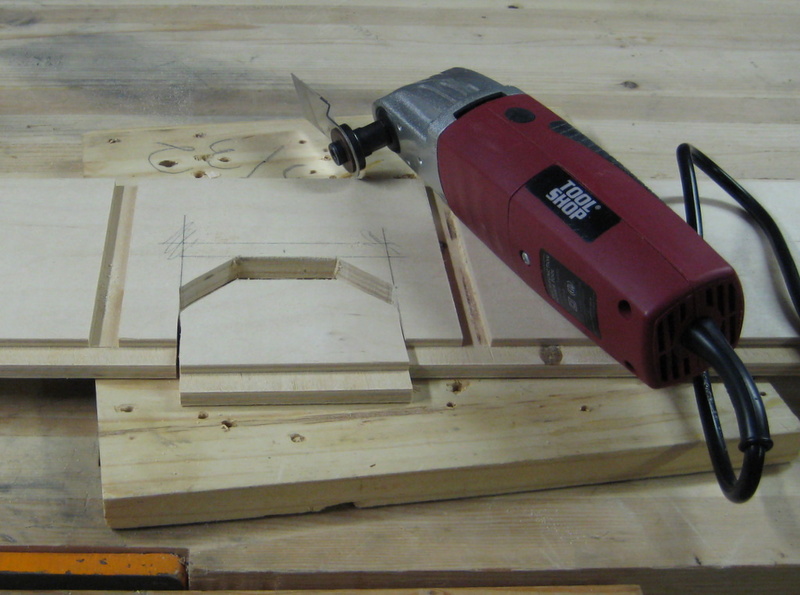 The first step was to cut a 1/4″ deep by 1/2″ wide rabbet along the side of one of the pieces of 1/2″ plywood. 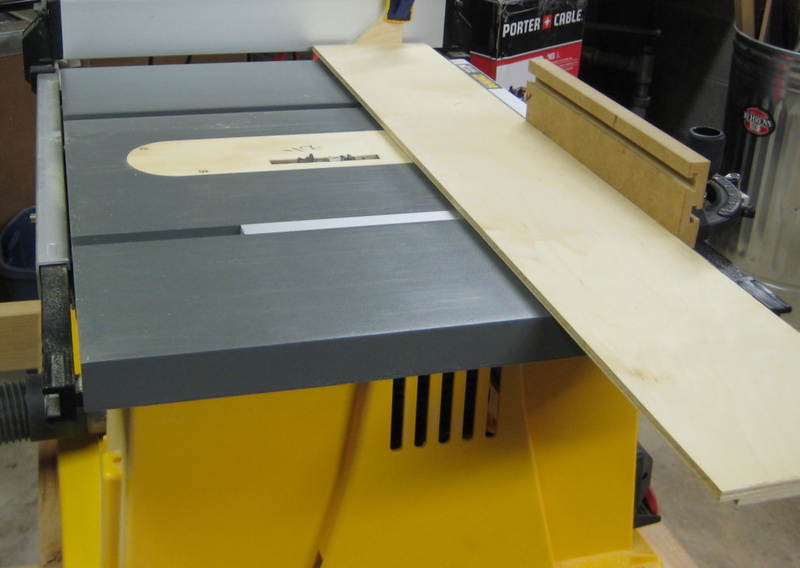 I set up my table saw with a 1/2″ dado stack and a zero clearance insert. 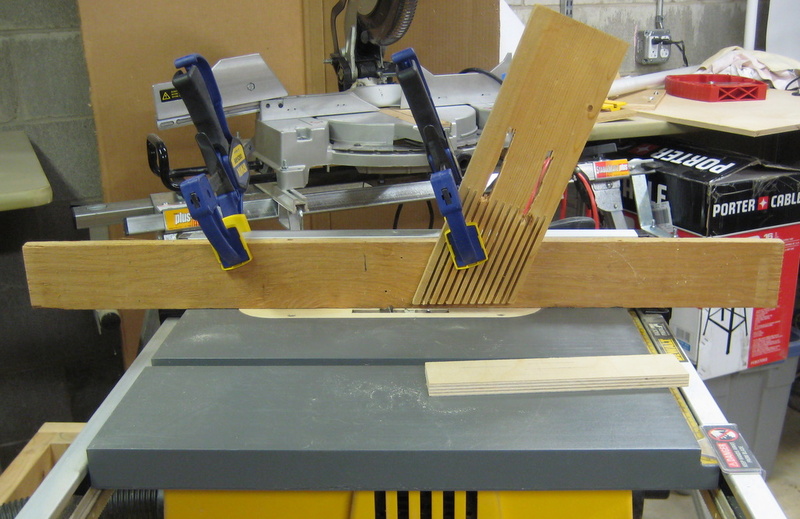 I clamped a sacrificial board to the fence so I didn’t chew up the table saw fence with the side of the dado blade. I also clamped a feather board to the fence to keep the stock flat against the table. This ensures the rabbet will be the same depth along the whole edge. This piece forms the vertical part of the fence behind the more slippery phenolic pieces. I used the second strip for the base of the fence, and I cut the third strip into the triangles to keep the face at a right angle to the base. To align the triangular supports, next I cut four 1/2″ wide by 1/4″ deep dadoes into the both the horizontal and vertical fence boards with my table saw. 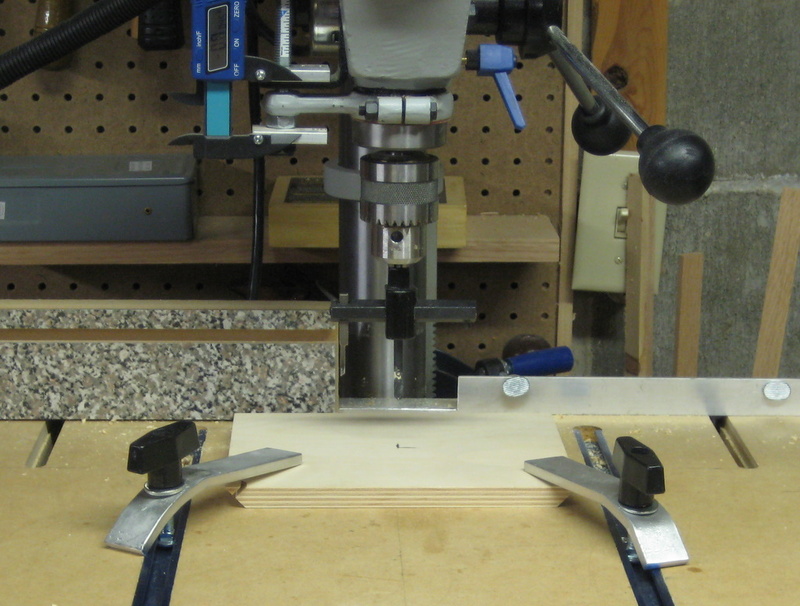 To make room for the router bit, I cut out openings in both the face and the base with my oscillating tool. I don’t have pictures for the next part but I drilled a series of holes through the dadoes and then drilled counter-bores in the face and bottom pieces for attaching the triangular supports. 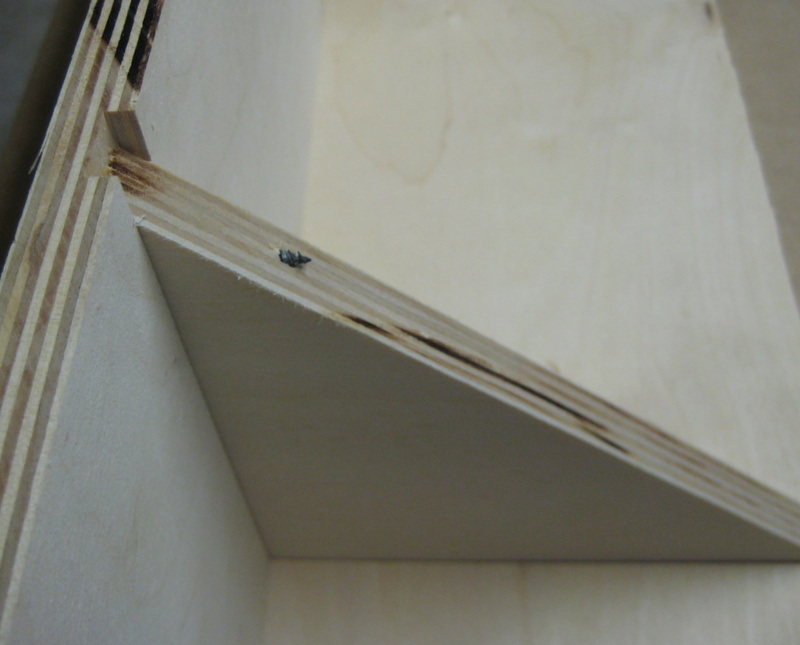 When I started screwing in the triangular supports I discovered that I had drilled the holes too close to the edge so the ends of the screws were sticking out of the wood. Since I had plenty of spare plywood left from the third piece of plywood, I just cut some new triangular supports with flattened corners rather than redrill new holes. You can see the new supports in the first picture. 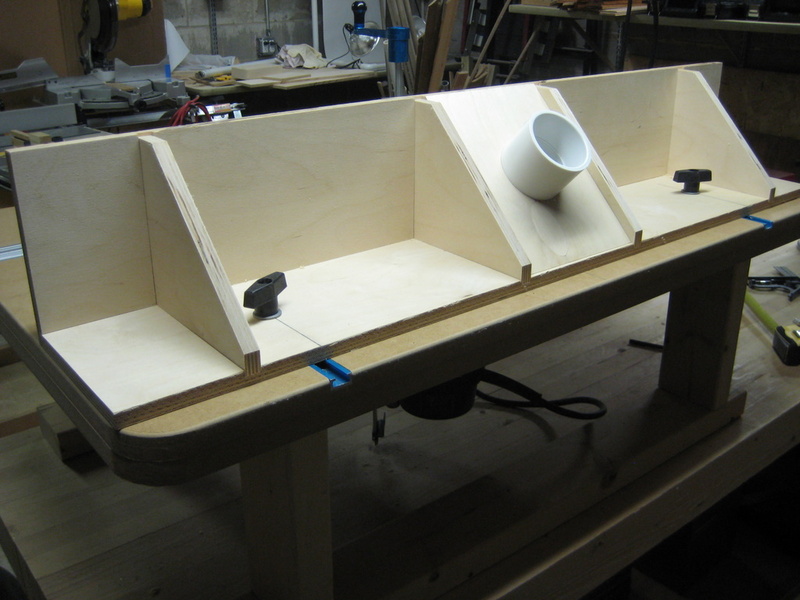 With the frame assembled, I needed a way to enclose the space around the router bit so that I could collect dust and chips. I had purposely spaced the middle two triangular supports 6″ apart so I could use the rest of the 6″ strip of plywood as a back. 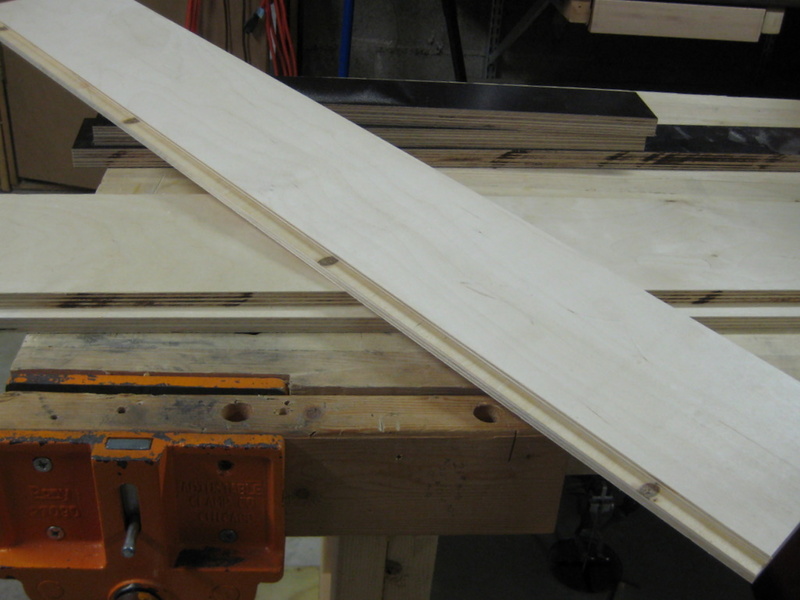 I cut the ends at 45° angles on the table saw — you can see where I almost screwed up in the picture. I tested the back, and found I needed to shave a little off one side to get it to fit. Then it fit so tightly that I figured I could just leave it as a friction fit. Then I used a circle cutter on my drill press to cut the hole for the 2″ PVC coupling that just happens to be the perfect size for a 2-1/4″ shop-vac nozzle. 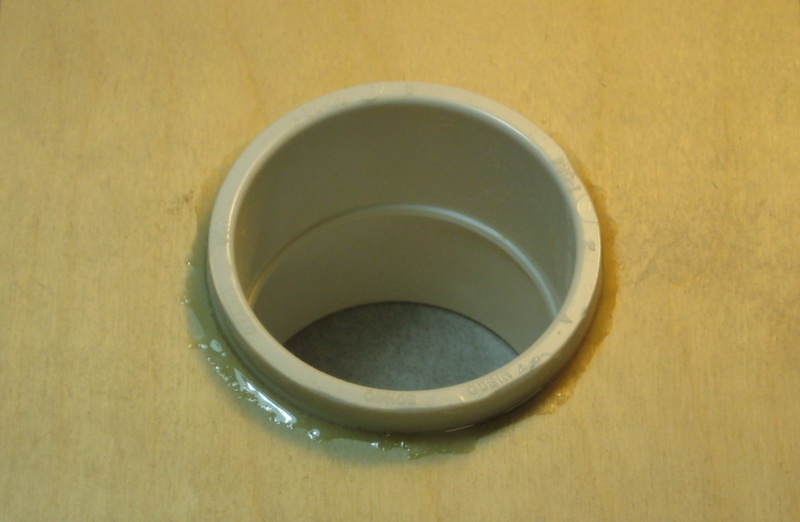 After epoxying the PVC fitting into the hole, I fit the back into place in the frame. I hooked the shop-vac to the dust port and dropped some sawdust into the router bit opening — the dust collection seemed to work fine. To finish the fence frame all I needed to do was drill holes for the T-bolts that hold the fence to the T-tracks built into the router table.